Ready to start recycling? We hope so, because according to “National Geographic,” each American sends 64 tons of waste to the landfill during his/her lifetime. And considering there are more than 325 million of us in the U.S. alone, that’s 246 million tons of waste being generated each year. Thankfully, the aim of National Recycling Day on November 15 is to encourage Americans to purchase recycled products. By reducing our waste and increasing our recycling, we can convert waste into reusable material — and help save our planet in the process! ​Paper recycling increased by 89 percent since 1990. ​America Recycles Day (aka National Recycling Day) became a national holiday. ​Cartoon Network’s “Captain Planet” aired for the first time, encouraging children nationwide to recycle and help protect the planet. Recycling events can be surprisingly fun (and educational). For instance, an event in Missouri involves making bracelets from plastic shopping bags, doing a composting activity, and building something out of recycled goods. Look for events in your area, bring your friends, and get involved. The more you know, the more you can make a difference! 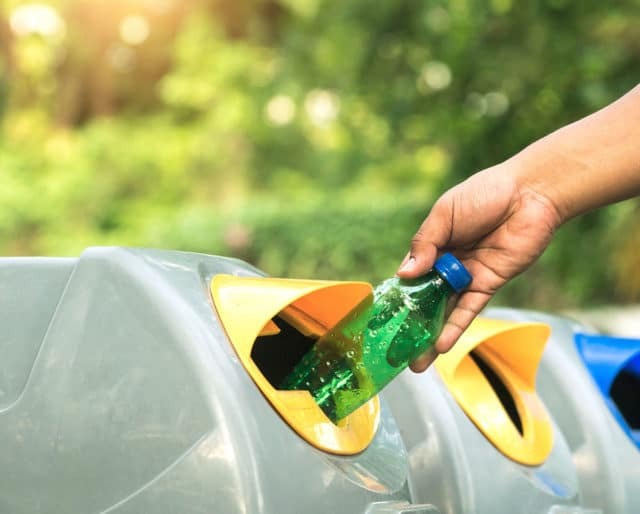 Recycling is more than just dumping cans into a recycling bin (although that’s part of it). There’s so much more you can do! Make your commitment to reduce, reuse, recycle, and buy recycled. Excited about your latest recycling trip? Share it on social media using the hashtag #BeRecycled. The more we get the word out, the more we encourage others to recycle and help save the planet! ​One recycled tin can would save enough energy to power a TV for three hours. One recycled plastic bottle can save enough energy to power a 60-watt light bulb for 3 hours. Recycling doesn’t have to be confusing, overwhelming, or intimidating. Doing small things like bringing your own to-go cup to Starbucks, bringing reusable grocery bags on your shopping trip, and using a safety razors rather than disposable ones can really help make a difference. Johnny Galecki (Leonard from “The Big Bang Theory”) is proving recycling can be cool — and a whole lot easier to do. He’s a volunteer advocate for Recycle Across America — a nonprofit dedicated to standardizing recycle bin labels.